Just in case you were getting tired of all debt crisis all the time, here’s a couple of interesting pieces of news about last season’s big news, the Arab Spring, or, more specifically, about developments in Egypt. In the old system, the party that has less than 8% does not enter the parliamentary system. Now it’s less than 0.5%. If this is correct, then I think it implies that there will not be a threshold for inclusion in the distribution of PR seats (or else that the threshold will be incredibly low by comparative standards). 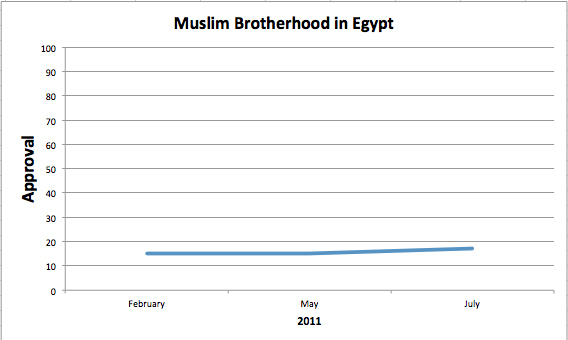 Taken together with the fact that the Muslim Brotherhood – which I assume is still the leading political force in the country – is polling below 20%, and we have a recipe here for an extremely fragmented parliament. Indeed, this calls to mind parallels with Poland’s disastrous 1991 parliamentary elections, where 29 separate parties entered the parliament off of party lists, and the top two parties only received 62 and 60 seats, respectively, out of a parliament of 460 representatives! Needless to say, the governments that were formed after this election required coalitions of large numbers of parties and were quite unstable. The net result was that the parliament lasted only two years, early elections took place in 1993, and the ex-Communists came back to power. Again, I want to stress that I am basing this on one quote in one magazine article, so I very much look forward to being corrected about this if I am wrong. However, if I’m not, then I think questions need to start be asked very quickly about exactly what type of parliament is likely to emerge from such electoral rules and in whose interest it would be to have this type of parliament be Egypt’s first democratically elected legislature.